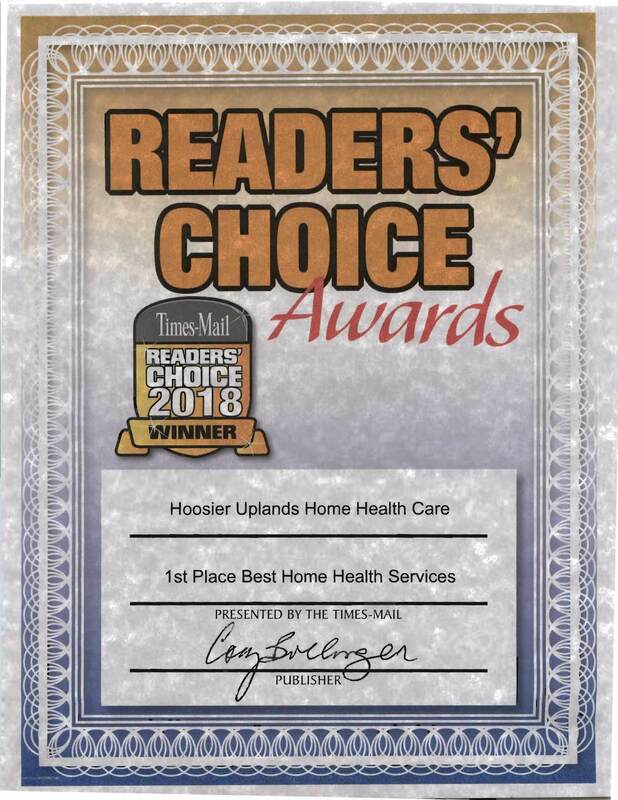 Hoosier Uplands Home Health Care was once again, voted #1 in the Times-Mail Newspapers Reader's Choice Awards as the Best Home Health Services in the readership area! 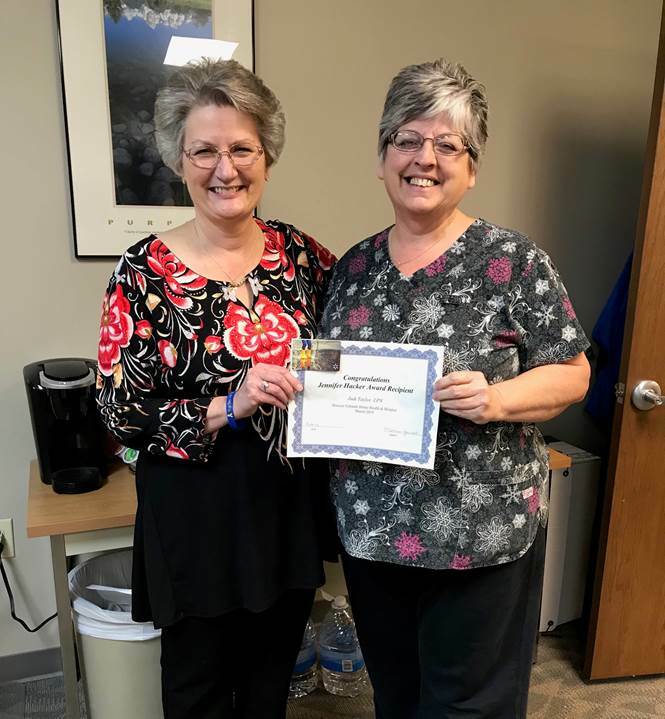 Melissa states, "Congratulations to all of the staff at Hoosier Uplands Home Health Care & Hospice, as we would not have received this honor without the hard work and dedication of our Excellent, Award Winning, Staff!!" 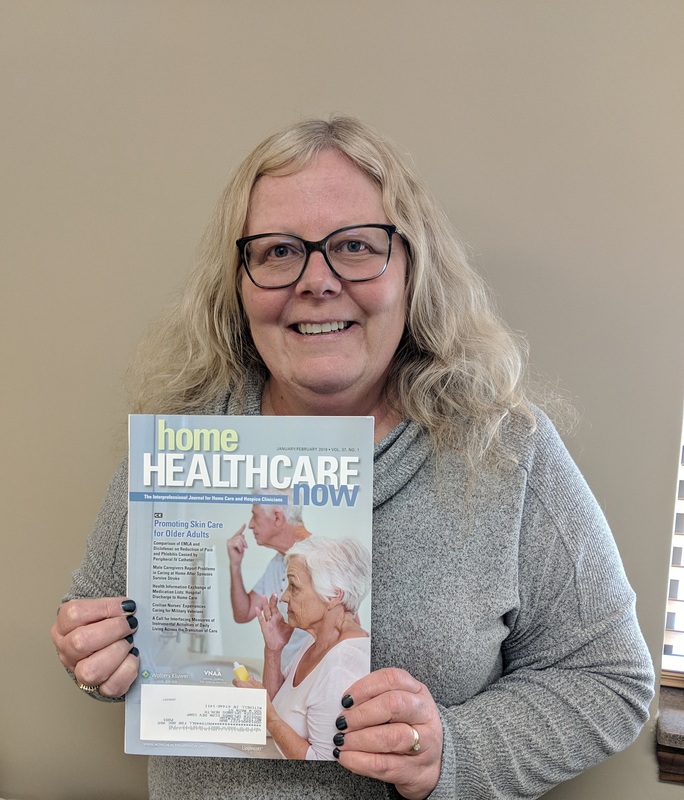 Melissa Jeremiah, RN, CHCE, was recently featured in the January/February 2019 edition of Home Healthcare Now for an article she wrote entitled, "The Language of Home Care." Home Healthcare Now is a professional, contemporary journal serving the educational and communication needs of home care and hospice nurses. Melissa Jeremiah, RN, Director of Operations, was featured as a guest columnist in the Caring Magazine, which is a national publication. Melissa Jeremiah was accepted as a manuscript reviewer for Home Health Care Now, which is a national Home Health Care & Hospice publication. 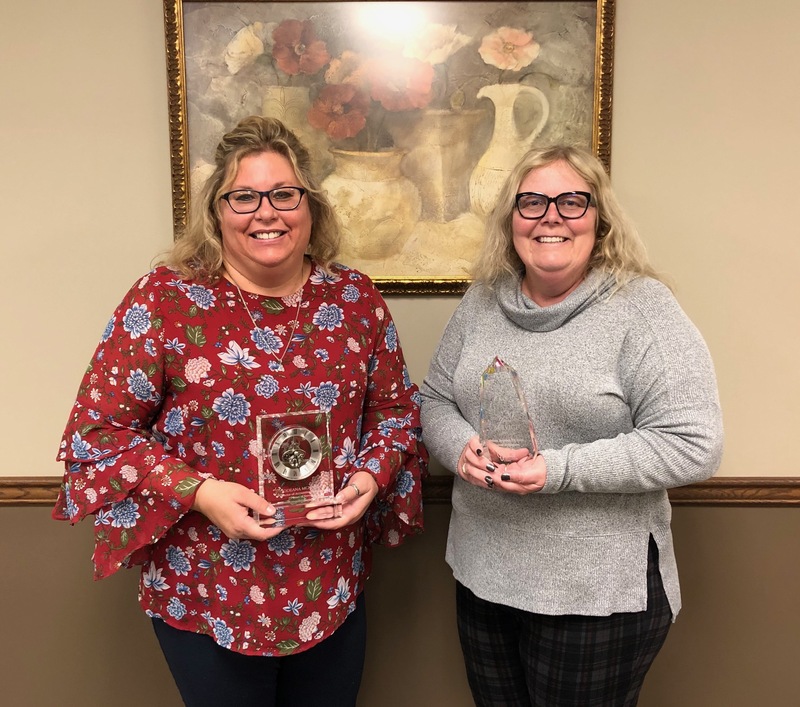 Melissa Jeremiah, RN, CHCE, Director of Operations was named the recipient of the Norah J. McFarland award by IAHHC/Indiana Association for Home and Hospice Care. The Norah J. McFarland Award, IAHHC's most prestigious award, is presented to an individual that demonstrates the qualities and standards which best represent our industry. The award is named for a pioneer and leader of Indiana home health. In 1987, Norah was presented with an award to recognize her contributions to home health and hospice care, nursing and education. Nominees for this award are individuals who exhibit: Leadership in home care or hospice; Integrity; Years of community service; Record of community involvement; sensitivity to home health issues and client needs; Action on behalf of home health, hospice or home support services; Current resident of the state of Indiana; 5 or more years' experience with an IAHHC member agency; and Interaction with other service providers and policy makers. 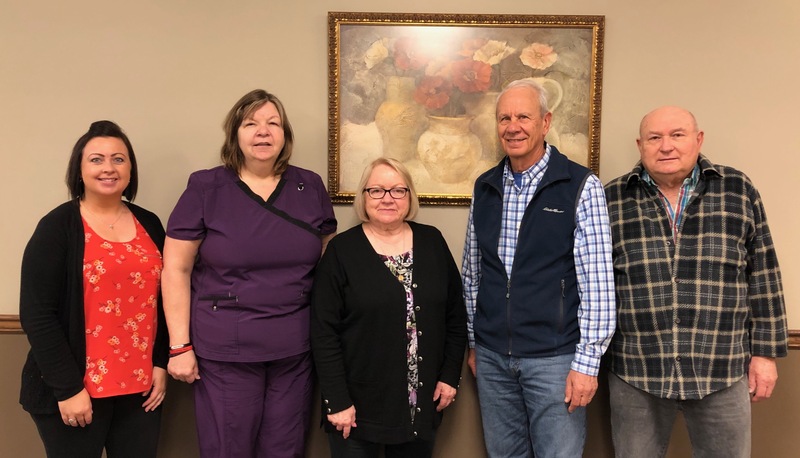 JeanMacdonald, RN, BSN, MS, Director of Regulatory Policy with IAHHC stated, "Your leadership in the association and in your community exemplifies Norah's lifelong dedication to home care and her community." 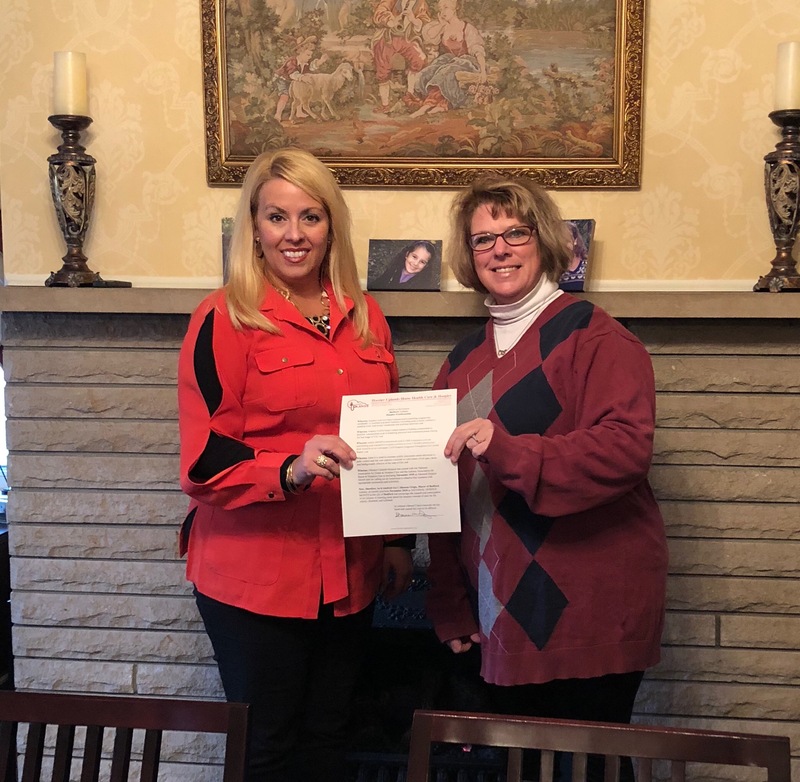 Melissa Jeremiah, RN, Director of Operations with Hoosier Uplands Home Health Care & Hospice was recently granted re-credentialing as a Certified Home/Hospice Care Executive (CHCE) by the National Association for Home Care & Hospice (NAHC). Certification represents achievement of a gold standard of knowledge for the operation of a home care/hospice organization. The CHCE certification examination tests an individual's knowledge in the eight areas most relevant to the home care/hospice field. These include: finanace and reimbursement; legal and regulatory; organization planning and management; human resources; quality and risk management; public relations; marketing and education; ethics; and information management. Wanda Allen, with NAHC, said this about Melissa, "We honor you for your example of excellence in home care leadership." Melissa Jeremiah, RN, CHCE, Director of Operations, Hoosier Uplands Home Health Care & Hospice, was elected to the National Association for Home Care & Hospice (NAHC) Board of Directors. Evan Reinhardt, Executive for the Indiana Association for Home Care & Hospice (IAHHC) stated, "A big contratulations to Melissa for being acknowledged on the national stage and clearly a well-deserved honor after her years of dedicated service!" 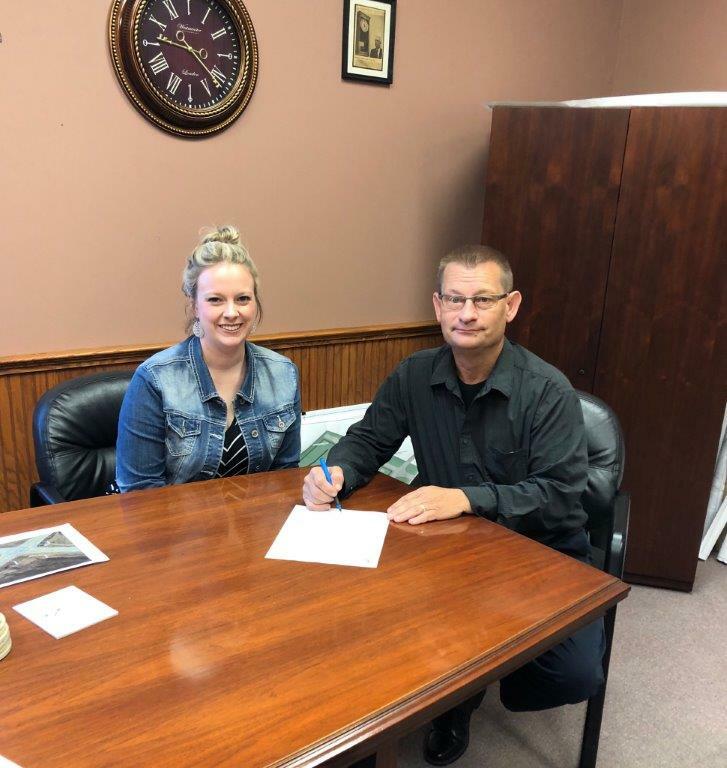 David Miller, CEO of Hoosier Uplands Economic Development Corporation stated, "We are very proud of Melissa's leadership role in home health and hospice and to have her expertise in this agency." Jeremiah resides in Salem, with her husband Jeff. Members of the Hospice Team: Lee Grimes, Volunteer/Bereavement Coordinator, Lana Allen, LPN, Linda Fisher, RN, Hospice Patient Care Coordinator and Recipient of the Charlotte Braman Award, Dr. Luke Mosemann, Medical Director and Merle Mullins, Volunteer Hospice Chaplain, who was honored for 20 years of service to Hoosier Uplands Hospice. 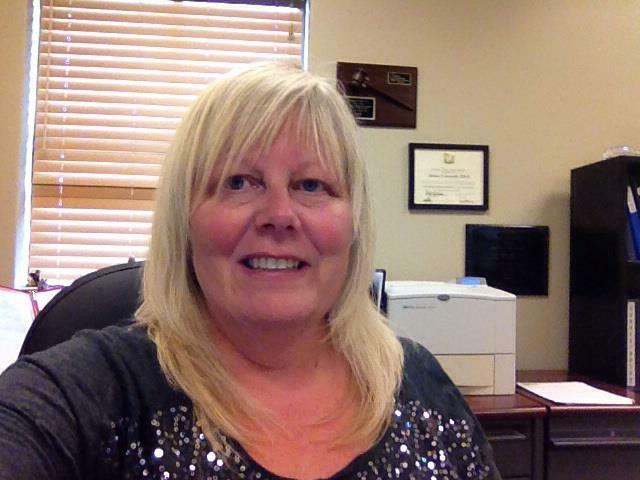 Melissa Jeremiah, RN, CHCE, Director of Operations, was asked, "What is your definition of a STAR employee?" 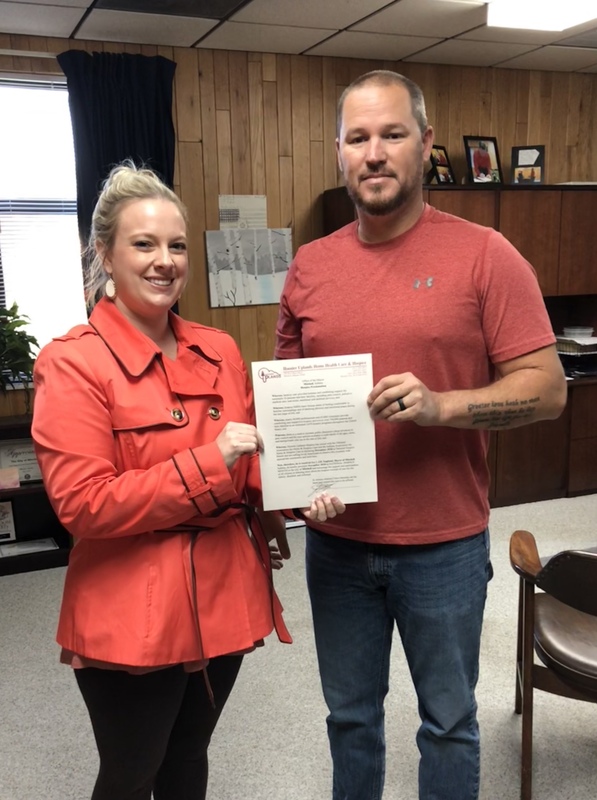 Melissa responded, "I feel that being a STAR employee means meeting the criteria of the Charlotte Braman Award for office staff, the Jennifer Hacker Award for field staff; or the Nellie Mullins Award for the volunteers." 2. Employees peers "catching them" going above and beyond, being someone they can count on, helping out their co-workers, bring a smile to a face, performing extraordinary quality work, being committed to the team goals, having an attitude that we all strive to have and making Hoosier Uplands an even better place. 4. Patients and families "catching them" going above and beyond, being someone they can count on, bringing a smile to a face, performing extraordinary quality work, being committted to the team goals, having an attitude that we all strive to have and making Hoosier Uplands Home Health Care & Hospice the choice of the community. Melissa was then asked, "To what do you attribute your own career success?" To which Melissa responded, "I feel that I am the mirror of all the members of the Home Health Care and Hospice Team. I cannot have success without quality employees who put their hearts into their work." 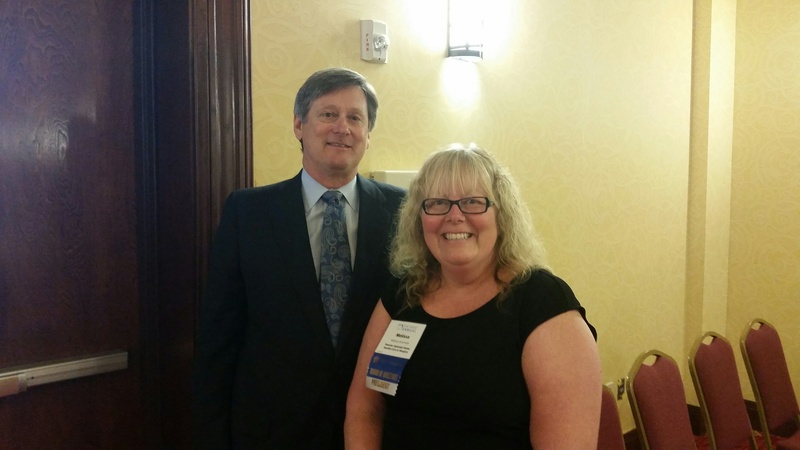 William A. Dombi, President of the National Association for Home Care & Hospice and Melissa Jeremiah, RN, Director of Operations for Hoosier Uplands Home Health Care & Hospice discussed the state of Home Health Care & Hospice during the Indiana Association for Home & Hospice Care Spring Conference on May 5, 2015. 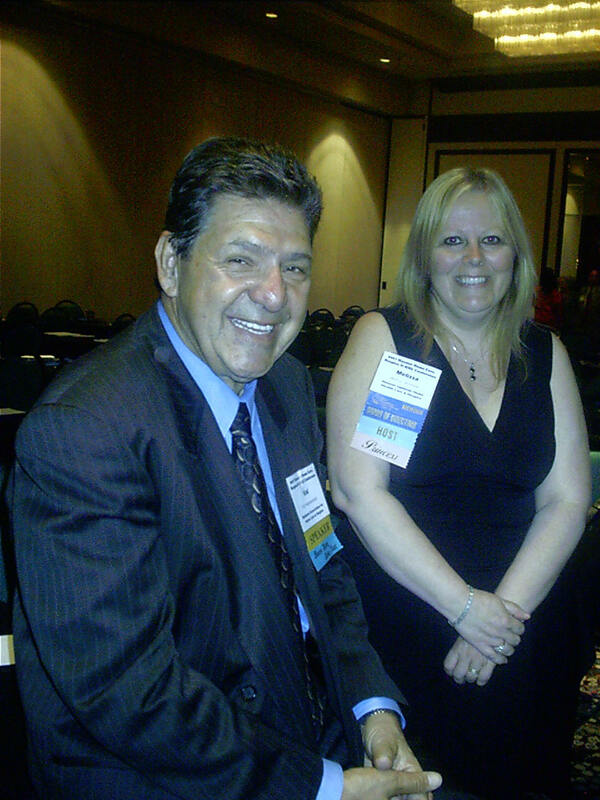 The late, Val J. Halamandaris, President of the National Association for Home Care & Hospice and Melissa Jeremiah, RN, Director of Operations for Hoosier Uplands Home Health Care & Hospice discussed the state of Home Health Care & Hospice during the Indiana Association for Home & Hospice Care Spring Conference on May 1, 2007.